After 30 years as a Wall Street insider Rick began to ask questions of the retirement system in America. He questioned Wall Street, he questioned the training of financial planners, and he questioned the thinking of government officials empowered to write laws that created our retirement system. After researching and answering the questions he had as a fully credentialed financial planner, he published his conclusions in his best selling book. They are the conclusions about money, government, Wall Street and retirement planning, THEY Don’t Want You To Know. If you have a 401k, or IRA and are concerned about your retirement future, this book is a must read. 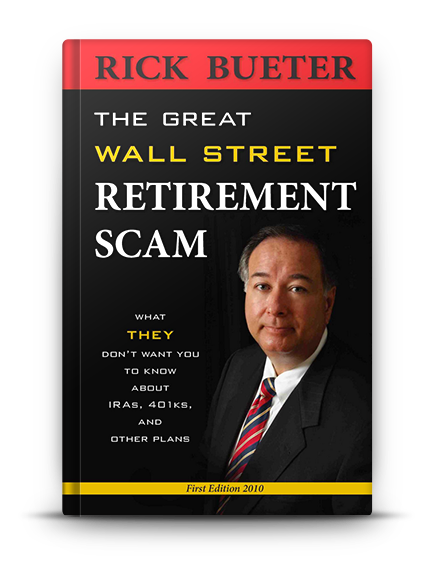 You will learn why the typical Wall Street retirement could never provide the retirement security Americans truly need. You will also discover the 100 year old solution to retirement planning that has been suppressed by government, the media, and by Wall Street that holds the key to real financial peace in the final years of life. If you are looking for Life, Liberty and the Pursuit of Retirement Happiness, this book is a must read.